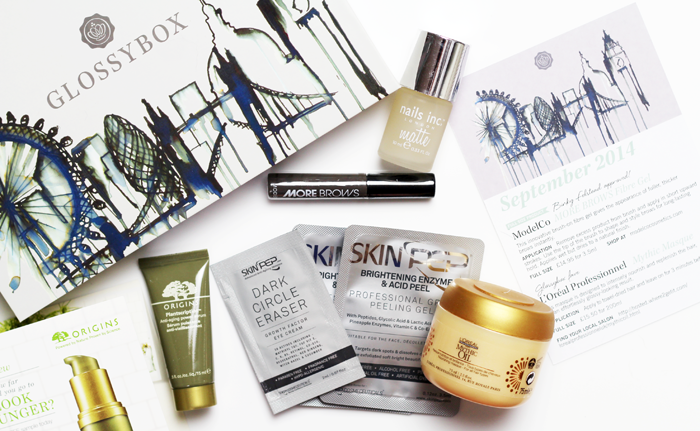 The September Glossybox* feels very fashion focused - the box itself has been designed by Karen Millen and the contents are centred on helping to achieve healthy looking hair, glowing skin, manicured nails and perfect brows. 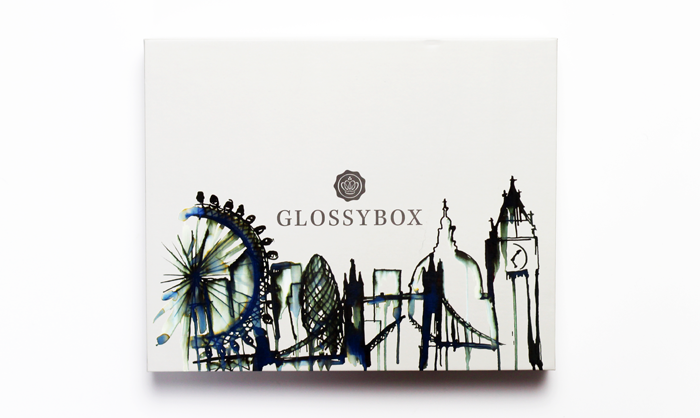 I think this is my favourite Glossybox in a long time because it's full of things I'm really enjoying using already. The ModelCo More Brows is (I think) pretty similar to the Benefit Gimme Brow and although it's a shade too dark for me I can kind of make it work because it's quite an ashy colour. A strong brow isn't my favourite look on me but I haven't used anything like this before and I must admit, I've been enjoying using it over the past couple of days. They're only sachets but the peeling gel sounds intriguing and although hair products aren't hugely exciting, my hair is in need of some serious conditioning so this has come at just the right time. I also have a bit of a soft spot for matte nails, so all in all this is a really lovely little selection of products. I'll be back at the end of the month for a beauty box roundup to see which beauty box came out on top for September! All of these products look amazing, I really love the look of this box. 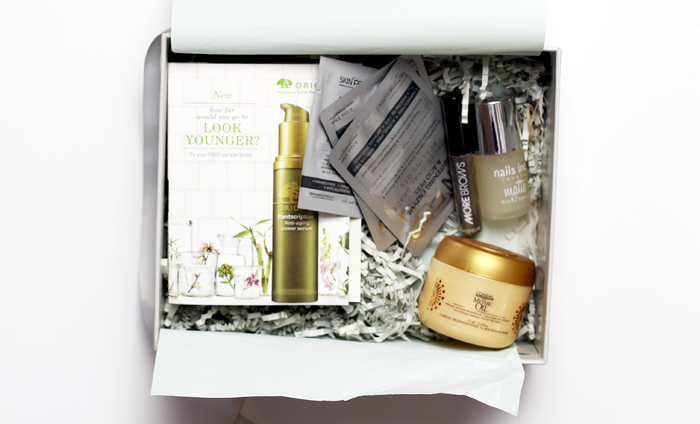 I'm not usually impressed with Glossy Boxes and the like but this looks like a good one! The box is beautifully designed by Karen Millen. The products sound exciting - I'm curious about the brow gel. Oooh, I think my hair needs that masque too! The box itself is so pretty, it's probably my favourite part! I can't express how much I'm impressed with this months Glossybox! I'm in love, my review is live tomorrow! I got slightly different contents which are probably a better match for me, which is amazing! ps. I've managed to take an almost identical picture of my box, I think I've been subconsciously inspired by your beauty box posts last month!